Developers often say during their Kickstarter campaigns that they’re footing a large part of a game’s development bill themselves. 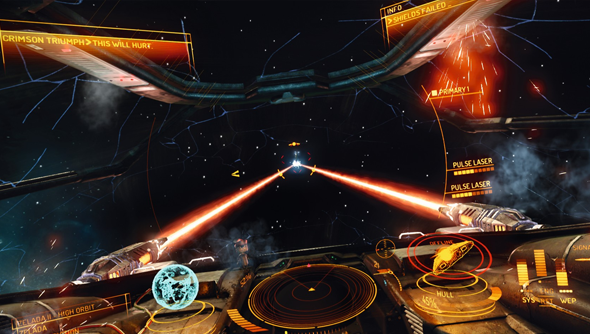 In Elite: Dangerous’ case that turns out to mean more than £6 million. More than that, since the campaign completed that budget has risen “by quite a lot,” according to studio founder David Braben. One source of new revenue is closed alpha and beta that fans could buy into. These carried a hefty price tag that’s lowering at each stage closer to final release. The current price tag is a comparatively small £50, it was four times that to get in at the alpha level. With over 75,000 people in the Elite: Dangerous beta and many of those coming after the Kickstarter campaign completing, that’s a significant pot of cash. Elite: Dangerous’ release date remains the end of 2014 and, if it’s anything like as good as it is now, then we’re in for a treat.